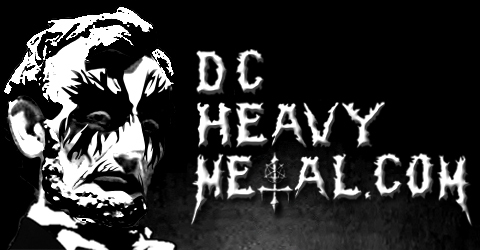 Well here’s something great for you readers of DCHeavyMetal.com, I’ve made an agreement with Live Nation to give away pairs of tickets to two of the biggest concerts coming to the area! 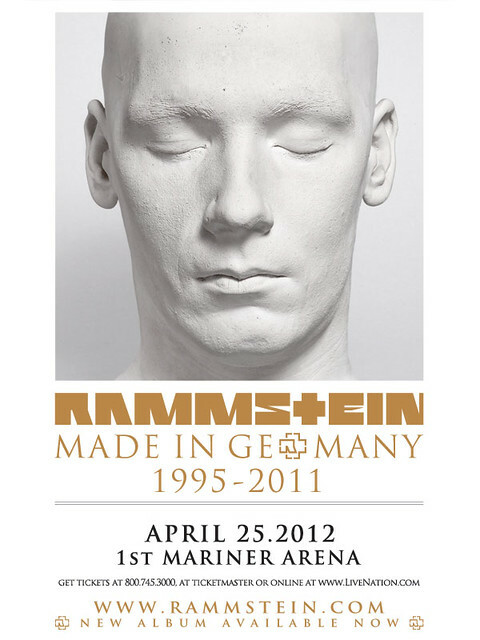 Rammstein is playing the 1st Mariner Arena (formerly Baltimore Arena) in Baltimore on Wednesday 25 April 2012 and Iron Maiden with Alice Cooper on Saturday 30 June 2012 at Jiffy Lube Live (formerly Nissan Pavilion). One thing I hate about going to big concerts is sitting in the way back squinting to see exactly what the hell is going on so I’m not giving away nose bleed or lawn tickets but for both shows I’m giving away great seats! 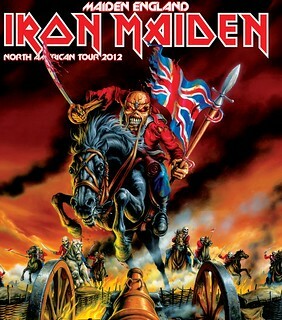 Rammstein will be premium floor seats and Iron Maiden will be in the 100 section. And of course for each show the tickets will be next to each other. All you have to do to enter this awesome contest is post a comment below telling me which of these two concerts you’d like to see the most. Unlike my past concerts, you CAN win tickets to both concerts so enter for both if you’d like! Be sure to use a valid email address that you check regularly when you enter so I can email you when you win. Don’t worry, I won’t put you on any email lists or sell your info, I hate spam just as much as you do. 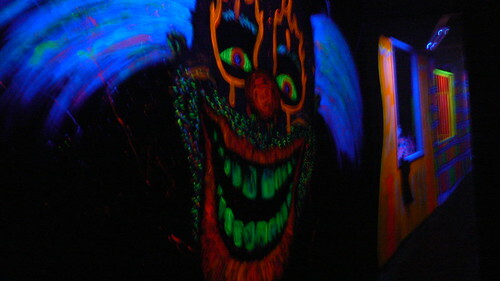 I’ll pick the lucky winner(s) at random (using Random.org) from all valid entries at 5pm EST on Friday 9 March 2012. Now read on below for more info about each of these concerts. Rammstein is from Berlin, Germany and are the biggest band from the Neue Deutsche Härte scene there, a style of music that blends hard rock, industrial and metal. In December of 2011 they put out a compilation album that is a retrospective of the band’s entire history, aptly titled Made In Germany 1995-2011. This tour is to support that release and you can bet they’ll be playing a lot of material from their entire back catalog. On thing Rammstein is famous for is their theatrical live shows which use a ridiculous amount of pyrotechnics. And I’m not talking about a few fireworks here, they do things like walk around with 20 foot flames flying out of their costumes! 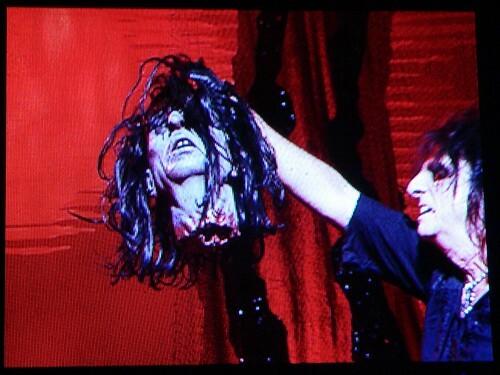 Even if you don’t win the tickets from me you’ll want to be up close to really feel the heat coming from the stage, this isn’t your average performance. If you don’t want to wait to see if you win or the contest is already over when you read this, you can get tickets to this concert right now here for $47 – $90. This show is on Wednesday 25 April 2012 and starts at 8pm. 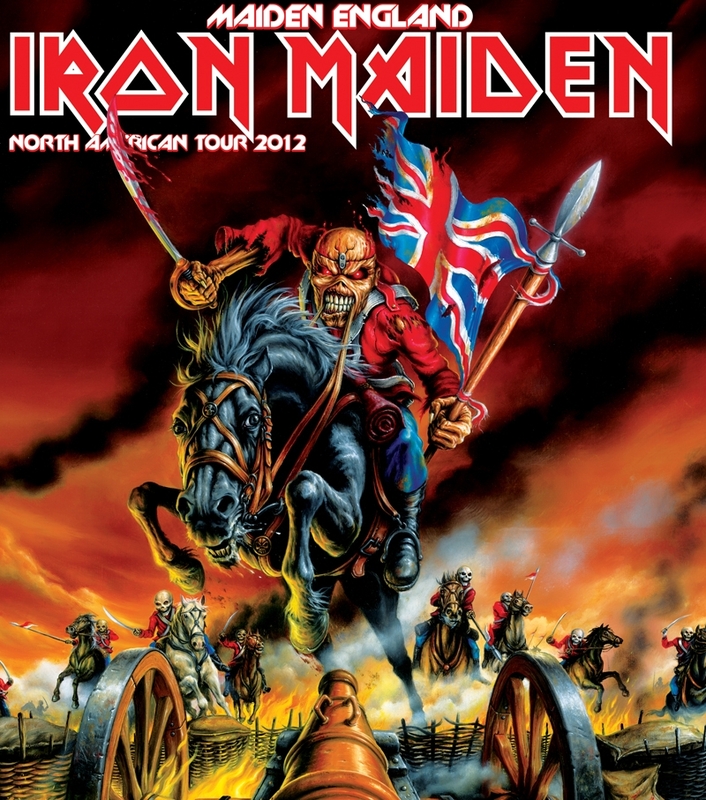 Iron Maiden is the biggest of the New Wave Of British Heavy Metal (NWOBHM) bands from the 80s. Lots of those bands have broken up or faded from the spotlight but not Iron Maiden. Their last concert in the area, in 2010 to support their latest album, The Final Frontier, was a rainy day and featured mostly newer material by the band. However this time they’ll be playing a more “best hits” oriented set list so expect to hear classics like Run To The Hills and The Trooper this time around. 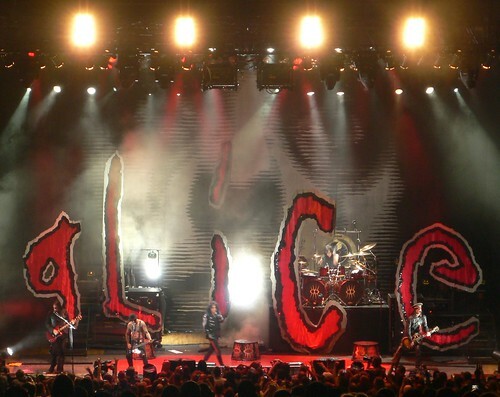 The opening act is Alice Cooper, the original shock rocker. You probably know him for 80s classics like School’s Out and No More Mr. Nice Guy but his newer material has been much darker. You know he’ll bring an entertaining show with him featuring various magic tricks including his trademark, decapitating himself via guillotine! Another great show you don’t want to be in the back for, so be sure to get seated tickets even if you don’t win them here. If you don’t risk losing out on good seats by waiting for this contest to end, you can get tickets now here from $40 – $109.25. This concert is on Saturday 30 June 2012 and starts at 7:30pm (and remember, Jiffy Lube Live has gotten rid of its no tailgating rule).